We are a family-owned storm cleanup company that specializes in performing natural disaster cleanup and storm damage repair. Our experienced disaster cleanup contractors can help you pick up the pieces after a storm and get you through the tough time with our emergency and storm damage restoration services. If your home or commercial property is ever affected by a terrible storm or a natural disaster, our disaster relief construction company will be able to assess the damage and offer solutions. We will create a plan for debris cleanup and determine if you are in need of wind and storm damage restoration. 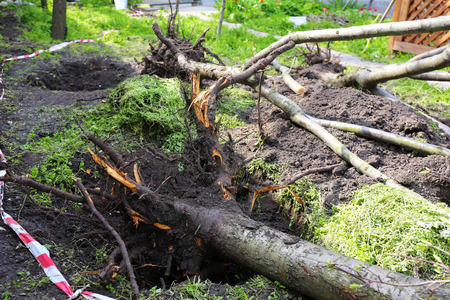 Whether that means bringing damaged trees down completely with our emergency tree service or clearing debris from your land, our emergency restoration services will prevent further damage from being done to your home or commercial property. With the knowledge and expertise of the disaster cleanup contractors from Southeast Land Clearing, our debris cleanup can be completed in a timely fashion and can help you move on in the aftermath of a storm. We’re the disaster relief construction company you can trust to help you rebuild your home or business after the darkest days. Call Southeast Land Clearing at 850-665-4867 today to learn more about our emergency restoration services!